I only have cake flour at home. how much baking powder should I add ? thank you. Add 1 tsp baking powder and a pinch of salt. 謝謝你Christine, 我這個懶人看到這麼簡單的食譜, 總算動手做了,謝謝你提供這麼簡單的食譜, 讓大家都會想動手做,另外想請教, 我因為自發粉不夠,所以加了plain flour, 結果吃起來像muffin一樣, 沒那麼鬆軟, 還是我的mix打過頭了? ?另外, 想請教, 到底高筋,中筋, 低筋麵粉, 在cloes或safeway,的英文名字到底叫什麼, 我找了半天連cake flour都沒看到, 跟cake flour又有什麼不同,不好意思,問了這麼多問題, 我是新手媽媽, 謝謝囉! Would like to know if I want to make bigger potions, such as double, then should I double all the things to make a bigger cake? Yes, you're right. Double all ingredients if you'd like your cake double in size. Don't know why everytime I use silicone mould, it sticks very seriously (even I have put oil on the mould and rest awhile after taking out from the oven). Very strange, it sticks even if i made jelly stuff (stick after refrigerated). Really very frustrated as you know this kind of moulds are very expensive. It shouldn't be like that. Hmm...Are you sure it's silicon? Yes, I am sure they are silicone. I also feel very strange. I bought in reputable department stores. (some made in Japan and some made in USA) That's why I dare not use them. 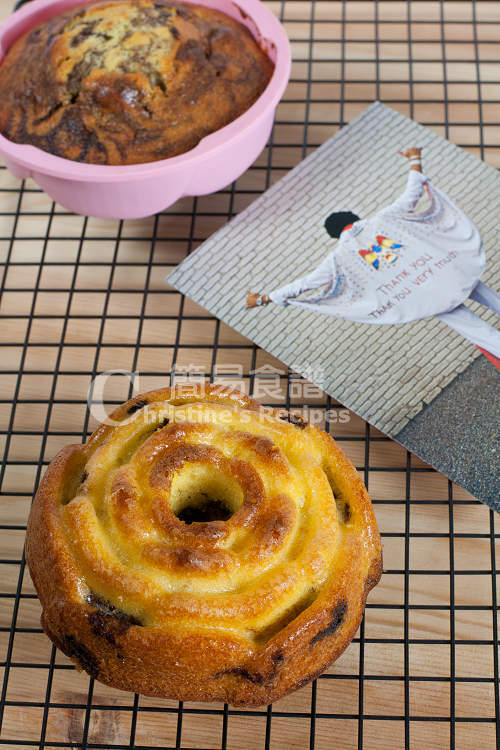 It is really very disappointed when the cake being malformed after unmoulding. 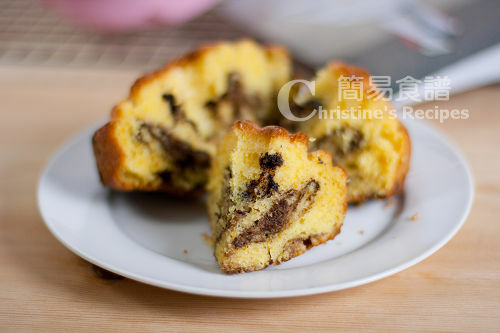 Hi Christine, I just made this cake again and modified the ingredients to make an Oreo cup cake. Tasted great. I also reduced the amount of butter and sugar to 65g and 55 g respectively as I was making this for my 2.5 yr old son. still as fluffy as before! Thanks for ur great recipes! Oreo cup cake sounds yummy. My daughter would love it too. can i reduce at least 2/3? 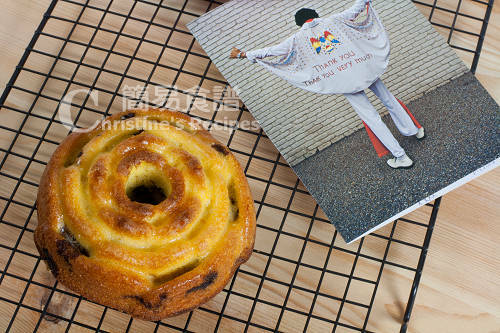 It's a kind of butter cake. Feel free to experiment with less butter if you like. Then texture of the end results will be different if you don't mind.